With more than a quarter-century of experience, Rolta assures project completion with a clearly defined scope, deliverables and timetables following agreed implementation methodology. A well-developed application costs less to build, maintain and support. 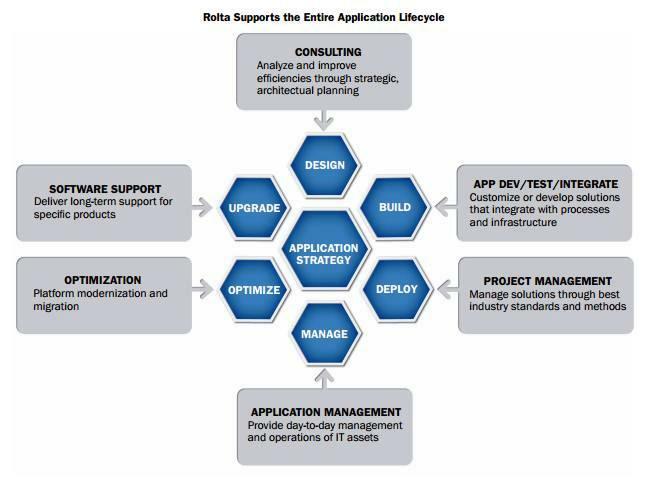 Rolta delivers the expertise required to drive successful application development outcomes with consistent results. We develop custom software solutions for clients to improve performance, integrate disparate systems and leverage the latest in software development platforms. Most importantly, Rolta’s distributed delivery model lowers costs, and project management methodologies apply user-centric design practices that convey true business value. Rolta’s highly-skilled Application Development team focuses on achieving important business goals with the software solutions it creates or updates. With special expertise in integrating new and legacy technologies, Rolta regularly exceeds client expectations and delivers high and measurable ROI.